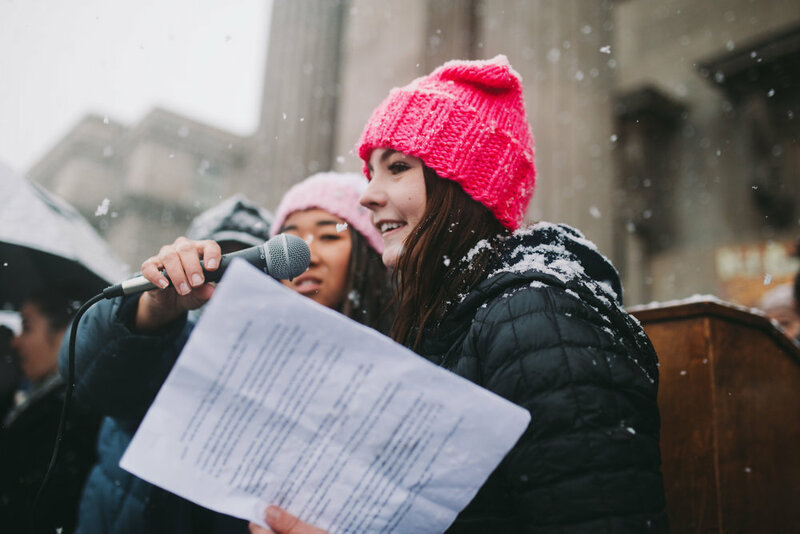 Student led political action group dedicated to fostering intergenerational connections in order to rally around equity and inclusivity for women and minority groups. Vision: Bringing our community together to make progress in creating intergenerational connections and working towards common goals. We want to bring attention to our needs for gender equity, racial justice, economic justice, reproductive rights, environmental justice, and civil rights for all minority groups. We plan to hold peaceful events such as rallies, marches, and meetings. Meet our team of college students, high school students, and adults of all ages. Find out how to create positive changes in your community or get involved with your local government. On February 16, 2017 around 600 students of all ages came out to make their voice heard.